Click on the video above to see a time-lapse map of last year’s flu season. The video will open in a new window. 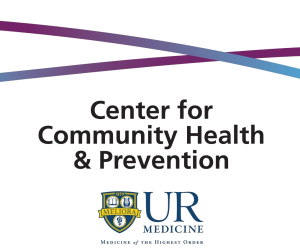 These maps show data from the NYS Emerging Infections Program (EIP) of the University of Rochester Medical Center’s Center for Community Health & Prevention. These data, from the 2017-2018 flu season, show variability by age across the flu season within our six-county upstate area. These data are based on laboratory-confirmed flu tests from NYS EIP, which conducts laboratory and population-based infectious disease surveillance as part of the Centers for Disease Control and Prevention EIP. Laboratories are required by law to report all positive flu cases to the NYS communicable disease reporting system, and EIP obtains positive flu reports daily during flu seasons (October 1 through April 30). Note the interesting pattern for mean age by county in these data. There is a relatively wide range of ages (including both younger and older adults) in the beginning and end of the season, but a smaller age range mid-season. One possible explanation for this pattern was last flu season’s circulation of flu strain H1N1, which typically affects a younger population. Another possible explanation for the pattern is that younger adults may be more likely to go to work while sick, thus spreading the flu to their similarly-aged co-workers.